This conference, with its theme of social inclusion, builds upon the debates that have taken place within the IFIP 8.2 community over the past several years. 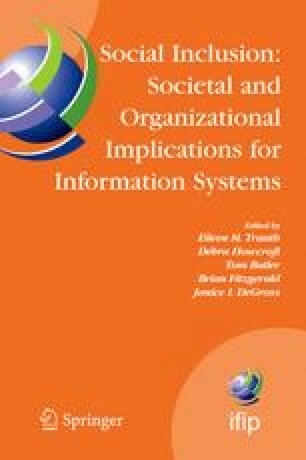 As information and communications technology, and the information systems based upon them, become ever more pervasive, the human impacts—both positive and negative—and the associated societal disparities will continue to arise. It is our hope that the topics discussed at this conference will be considered mainstream in the future.